Also starring Novelist, Piff Gang, and Michèle Lamy. 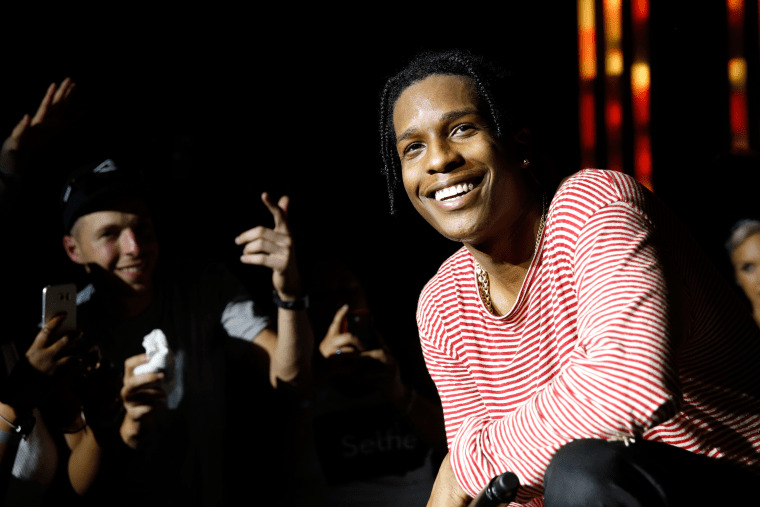 In a recent interview with the Guardian, A$AP Rocky talks about his new record and life after Yams' passing—but one interesting tidbit that gets mentioned in passing is that the A$AP Mob leader shot a video starring Skepta and Novelist, and also features London rap crew Piff Gang, A.L.L.A. producer Danger Mouse, and fashion designer Rick Owens' wife and business partner Michèle Lamy. Hell of a lineup; no word yet if the short film will be a music video or a separate piece.